Itineraries are usually from Venice to Polesella. However, a barge cruise allows travel farther west to Mantua, which is about 60 miles west of Polesella. There are several opportunities for day and evening canal cruises in Venice. However, for overnight cruises, there are only a few companies that travel along the Po River. The Po River is the longest river in Italy. It flows for more than 400 miles in an easterly direction through cities, such as Turin, Piacenza, Mantua and Ferrara. However, cruises are only available as far west as Mantua, which covers about 100 miles of the Po River. The city of Turin is about 178 miles west of Mantua. So although it’s on the Po River, it’s not a city visited on a Po River cruise. Po River Cruises begin on the canals in Venice – a city that is made up of 150 canals. After departing Venice, the Venetian Lagoon is the body of water that leads to the Po River. A few destinations that are often part of the itinerary are reached from Venice or the Venetian Lagoon and include Murano, Burano and Verona. And from the Po River, cities like Polesella, Bologna, Ravenna and Ferrara are often visited. Transportation to and from most of these cities is by motor coach. 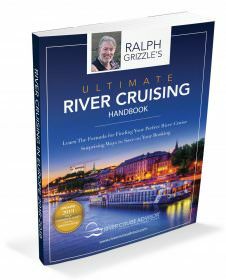 The river cruising season for the Po River is similar to other waterways in Europe. Most cruises are between March and October. However, there is one company that has a few itineraries in December, January and February. Check out our video featuring Venice, Italy. AmaWaterways does not offer cruises on the Po River. A-ROSA does not offer cruises on the Po River. Avalon Waterways does not offer cruises on the Po River. CroisiEurope offers a few different itineraries that travel roundtrip from Venice. Most of them do not include the Po River, though. 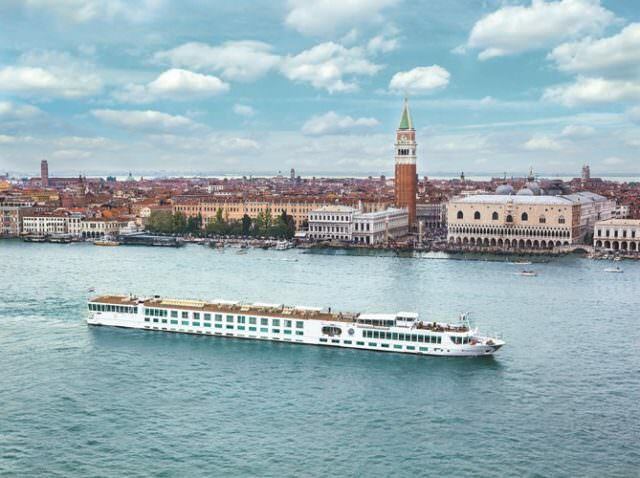 Cruises are available roundtrip from Venice to the city of Chioggia in the Venetian Lagoon and roundtrip from Venice to Polesella on the Po River. Interesting to Note: CroisiEurope is the only company that offers holiday-themed river cruises from Venice to the Venetian Lagoon in December and January. It’s also the only company that has river cruises departing from Venice in February and March. However, none of these cruises travel along the Po River. Emerald Waterways does not offer cruises on the Po River. European Waterways offers barge river cruises along some of the canals and rivers in Europe. In Italy the company offers an itinerary from Venice to Mantua. It’s a one-way cruise rather than a roundtrip cruise. Barge river boats are significantly smaller than traditional river cruise ships – usually between 4 and 20 passengers. The vessel for Po River cruises is on the larger side with a capacity of up to 20 passengers. Interesting to Note: European Waterways is the only company that travels as far west and Mantua and the only company that has non-holiday themed barge river cruises for the Po River. Grand Circle does not offer cruises on the Po River. Scenic Cruises does not offer cruises on the Po River. Tauck does not offer cruises on the Po River. Uniworld has two cruises on the Po River – one is for a river cruise only and the other is a river cruise plus land travel to Florence and Rome. Interesting to Note: Uniworld is the only company that has an itinerary that includes travel to Florence and Rome after the river cruise. Viking River Cruises does not offer cruises on the Po River. What’s the Best Choice for a Po River Cruise? If you would like to visit more cities in Italy, then Uniworld is probably the best choice since one of its itineraries includes a visit to both Florence and Rome. A barge cruise is also a nice option if you prefer a smaller boat with a more intimate setting. European Waterways has several itineraries available. And if you have a large group of friends and family who would enjoy a cruise in Italy, you can charter the boat. It could be a nice way to enjoy a small family reunion. And if your budget is more limited, CroisiEurope offers cruises that are lower in price than both Uniworld and European Waterways. 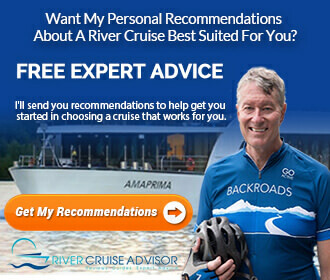 Read more Po River Cruise articles.